In Episode 3 we welcome cartoonist Gill Hatcher to the show. Gill is the founder of Team Girl Comic, a long-running series of small press anthology comics for female creators based in Scotland. Gill won widespread acclaim and British Comic Award and Scottish Independent Comic Book Award nominations for her solo project The Beginner’s Guide to Being Outside. Gill’s interest in the natural world is also reflected in her latest book, The Seagull Appreciation Society. 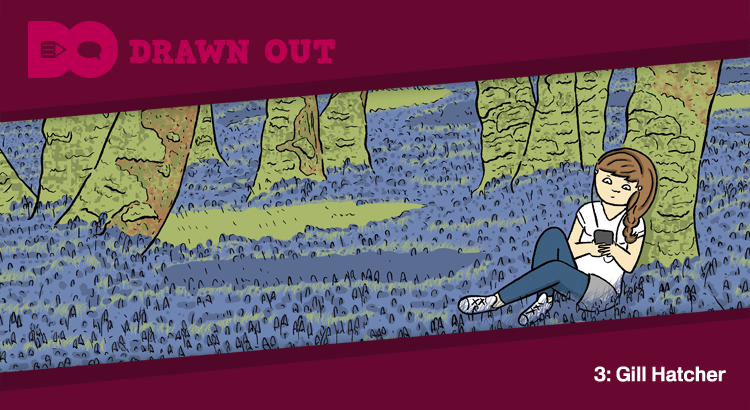 In this episode we talk about the appeal of the great outdoors; childhood influences; Glasgow’s booming small press comics scene; the evolution of Team Girl Comic; gender mix in the comics community; and much else besides.